ehind all the experimentation, they are still the band whose songs give strength and comfort. 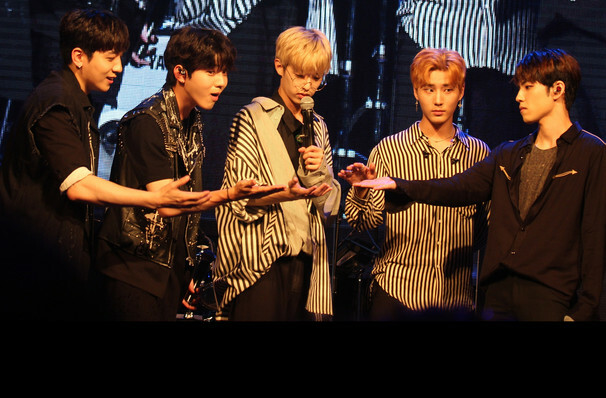 Shying away from the trendy hip hop grooves and beats of their K-pop peers, Day6 revel in the soaring licks and driving drums of the classic rock bands of old, whilst going straight for the pop jugular with killer hooks and pop rock-tinged arrangements. Formed in Seoul in 2015, the quintet made their official live debut on South Korean taste-making music show M Countdown in 2016, an auspicious start that has seen them amass multitudes of fans all around the world. Catch them on the North American leg of the Youth World Tour, their first ever global trek! Unafraid to play with the K-Pop formula, the band experiments with electronic samples and sounds, fusing distorted heartbeats with satisfying rhythmic shifts, synth strings and filtered vocals, all the while keeping songwriting focus on melodically driven anthems, choruses and tongue-in-cheek lyrics that elicit much singing from their fervent audiences. Their live shows are theatrical affairs, with high quality stage production and lighting shows embellishing their punk-edged energy and explosive performance style. Seen Day6? Loved it? Hated it? Sound good to you? Share this page on social media and let your friends know about Day6 at State Theater. Please note: The term State Theater and/or Day6 as well as all associated graphics, logos, and/or other trademarks, tradenames or copyrights are the property of the State Theater and/or Day6 and are used herein for factual descriptive purposes only. 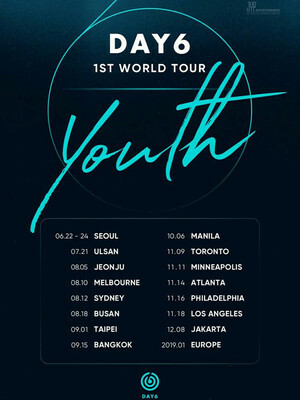 We are in no way associated with or authorized by the State Theater and/or Day6 and neither that entity nor any of its affiliates have licensed or endorsed us to sell tickets, goods and or services in conjunction with their events.